With both the Shopify and Etsy IPOs, the last year has been a big one for tech companies catering to independent online retailers. 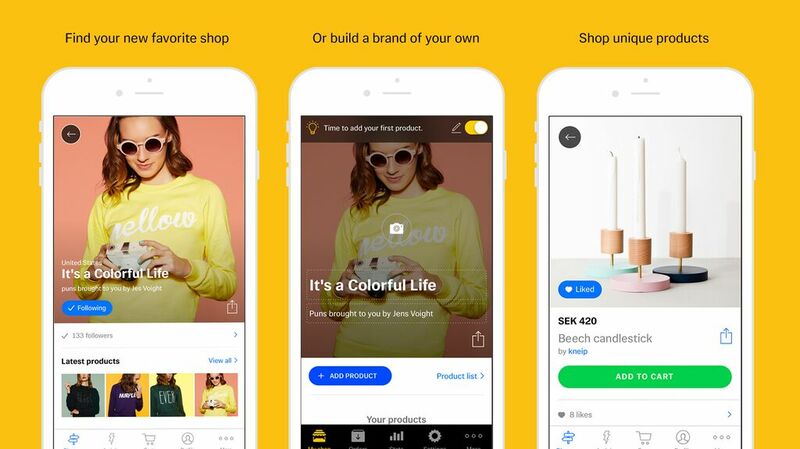 Now Tictail, a Swedish company that has migrated to the United States, is hoping to make its mark with a product that’s somewhere between those two platforms. They’ve just raised $22 million in funding from their existing investors, including Scandinavian venture firm Creandum, New York’s Thrive Capital, London’s Balderton Capital and Acton Capital out of Germany. Tictail isn’t quite an end-all destination like Etsy. Nor is it solely a layer for building separate online stores. On top of helping independent retailers set up e-commerce stores, they also combine all of these brands into what is becoming a single, unified marketplace. “We’re for retailers who have graduated from the kitchen table and are looking to build their empires online,” said CEO Carl Waldekranz. The company has about 85,000 independent brands (or about half of the 165,000 stores that Shopify boasts with its $2.6 billion market cap). The additional round brings Tictail to $32 million in total funding. The company plans to use the funding to build out their Tictail Marketplace on mobile platforms (see below), and expand internationally with brands from 140 different countries. The company has a mix of revenue streams, including premium features like e-mail newsletters and tools for customer relationship management. The Tictail platform has a number of apps including ones to recover abandoned shopping carts. They’re also strengthening the link with Facebook, with apps to help retailers sell products in a Facebook shop.